When Lance Cpl. Colton Rusk was killed in active duty only three months after his deployment to Afghanistan, his military dog, Eli, refused to work without him. The two had spent countless days and nights together on patrols, identifying improvised explosive devices and ensuring the safety of their unit. Because Eli wouldn’t leave Rusk’s cot at the military base, he was released to retire with Rusk’s family in Orange Grove, Texas. At the time, Eli was only the second dog in United States history to be granted this honor. Dr. Mike Moore ’79, a development council member in the College of Veterinary Medicine & Biomedical Sciences (CVM) at Texas A&M University, knew Rusk’s family through his work on behalf of wounded warriors and their families. To honor Rusk’s story, he made a non-endowed gift at the Texas A&M Foundation to support retired veterans’ and their service animals. In 2014, that gift became something more. Eli’s Fund, named after Rusk and Eli, was established shortly after Moore heard about another military service veteran and dog duo: Sgt. William Cole and his black Labrador retriever, Hank. After serving his country in both Iraq and Afghanistan, Cole returned with a traumatic brain injury and post-traumatic stress disorder. Traditional therapy and medications failed to bring him peace, so Cole adopted veteran service dog Hank. The two became fast friends. When Hank was given a 50 percent chance of survival after being hit by a car, Cole knew he needed to do everything in his power to save him. Hank was brought to the VMTH, where highly trained veterinarians worked to address Hank’s injuries, which included broken shoulder blades, fractured ribs, broken bones in his spine and a leaking lung. To help raise money for Hank’s rising veterinary bills, Cole set up a GoFundMe website, which quickly received thousands of dollars in donations. The entirety of Hank’s medical bills – totaling around $11,000 – was covered, and he generously gave the remainder to support Moore’s original Eli’s Fund. Today, thanks to gifts made by Moore and Cole, Eli’s Fund is a source of financial support that anyone can contribute to. It helps active duty service men and women, medically retired veterans’ service animals, and retired military animals with medical bills at the Texas A&M Veterinary Medical Teaching Hospital (VMTH). 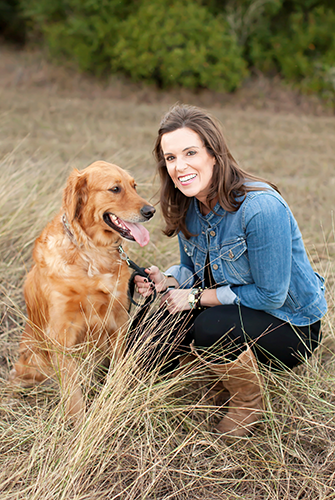 Linzy Woolf ’01, director of development for the CVM, has spent three years fundraising for programs and scholarships at Texas A&M. She knows first-hand the importance of preparing for the future and supporting causes you’re passionate about. For her, Eli’s Fund fell into that category. While redoing her estate plans, Woolf also thought about Ella, her beloved golden retriever, and what would happen to her should Woolf suddenly pass away. The answer? The Stevenson Companion Animal Life-Care Center. While Eli’s Fund guarantees that military animals are given second chances after retirement, the Stevenson Center gives animals second chances after their owners can no longer care for them. A privately-funded, state-of-the-art animal care program, the Stevenson Center provides for the physical, emotional and medical needs of animals whose owners have entered retirement homes, been hospitalized or predeceased a pet. In addition to supporting the center’s animal residents, donors can direct gifts towards programs and initiatives at the CVM after their pet’s lifetime, such as scholarships for students, including the four active students who live at the center to cover evening, holiday and weekend shifts when full-time and part-time staff members are away. The Stevenson Center includes six separate yards for dogs to receive sunshine, exercise and quiet time. Cats can travel room to room through strategically placed windows that prevent dogs from entering. All residents receive scheduled bathing and grooming, and nutritional concerns are monitored for those with special needs. The center is also home to Reveille VIII, who retired in 2015. Woolf graduated from Texas A&M with a bachelor’s degree in animal science while serving on the Texas A&M equestrian team. Her passion for riding transitioned into a love for coaching after she received an opportunity to act as a student coach during her undergraduate career. She accepted a coaching position at Stephen F. Austin State University after graduation, where she helped start the school’s first equestrian team and earned her master’s degree in animal science. She later returned to Aggieland to coach for another 10 years before starting at the Foundation in 2014. Woolf included both gifts through a bequest in her will. To make a bequest, an individual designates the Foundation as beneficiary of his or her estate plan. A bequest can be made as a percentage of your estate, a specific asset, or the balance or residue from your estate. Benefits include the ability to retain assets during your lifetime, lessen the burden of taxes on your family and support Texas A&M in whatever capacity you choose, whether it be a program, department, faculty member, or student scholarship or student organization. 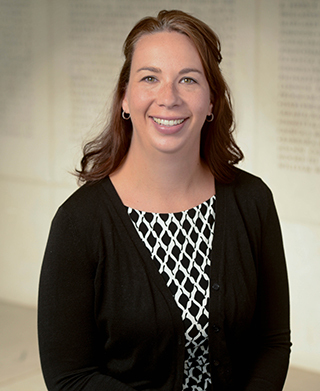 To learn how a bequest can benefit you, your family and the university, contact Angela Throne ’03 in the Office of Gift Planning.